Trump isn’t alone in promoting the idea that desperate civilians fleeing the carnage pose a security threat. Donald Trump’s indefinite ban on resettling Syrian refugees is not only a shining model of moral cowardice, it’s also premised on a falsehood that’s every bit as egregious and readily debunked as his claims that he won the popular vote or that God parted the clouds for his inauguration speech. First, what happens is the United Nations high commissioner for refugees goes through its very careful and thorough screening process, trying to understand what circumstances led the person to try to seek asylum or refuge. Once they’ve gone through their clearance process, they designate a set of people who they recommend to the United States for resettlement. Then we begin our own vetting process, which includes high-level security clearance. It includes medical checks. It even includes a cultural orientation. Our refugee program really puts a lot of priority on families, small children, the elderly. 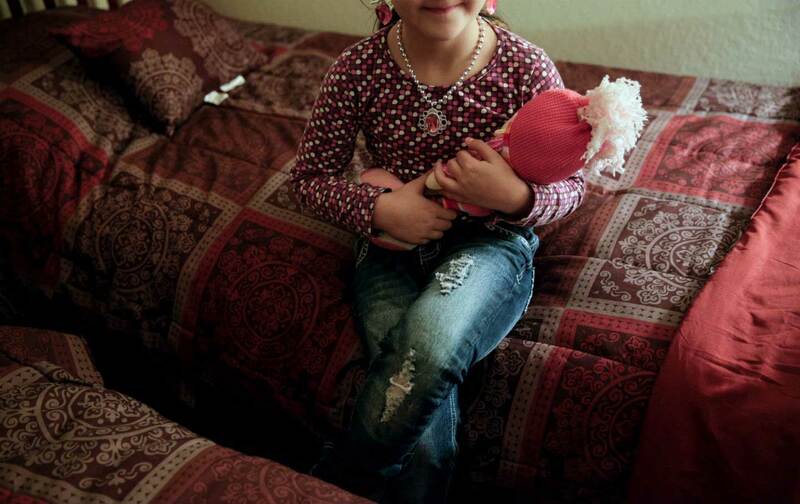 Of the just under 2,000 Syrian refugees we’ve taken in over the past few years, 48 percent of those are minors. They are under 18 years old. A good percentage are also elderly people. The remaining, many of them are the mothers of the children that we’re talking about. Really, the most vulnerable people are the ones that are prioritized. In 2015, when congressional Republicans passed legislation that would have blocked virtually all Syrian refugees, a State Department spokesperson said that only 2 percent of them were “military-aged males” traveling without family. “Our emphasis is on admitting the most vulnerable Syrians—particularly survivors of violence and torture, those with severe medical conditions, and women and children—in a manner that is consistent with U.S. national security,” he said. As a result, Trump isn’t alone in embracing the idea that these desperate civilians fleeing the carnage in Syria or other combat zones pose a serious security threat—it’s a view, based on false claims and a dubious “study,” that’s widely held throughout the conservative movement. And just as the specter of widespread “voter fraud” wasn’t shaken when the Bush administration pursued a five-year investigation that found that in-person fraud is exceptionally rare, this “alt-fact” appears to be unshakable. And with this mendacious premise in hand, Trump issued a sprawling executive order that wasn’t reviewed by any of the relevant agencies, and which caused a weekend of chaos in the United States and abroad. Benjamin Wittes, a senior fellow in Governance Studies at the Brookings Institution, wrote, “The malevolence of President Trump’s executive order on visas and refugees is mitigated chiefly—and perhaps only—by the astonishing incompetence of its drafting and construction.” None of the 9/11 hijackers’ four countries of origin are included in the ban. In addition to refugees, it barred green-card holders and those who’d risked their lives working side by side with US troops in Iraq and Afghanistan.